Áras hopeful Joan Freeman has refused to say whether she will look to take the full presidential pay packet, as another prospective candidate said that he would take the current salary amount to meet election costs. Michael D Higgins currently takes a pay package of €249,014 a year. When elected, Mr Higgins wrote to the Department of Finance outlining his wish to have 23.5pc of the €325,507 salary donated to the State. Currently legislation sets out that the president's pay is to be set at 10pc higher than the pay of a chief justice. The next person to be elected to the office will be entitled to a salary of just under €262,000 at current rates. Businessman Gavin Duffy has said that he will take the salary currently paid to Michael D Higgins of €249,014 in order to recoup the costs of mounting an election campaign. In a statement he said the costs incurred by a non-party president were "almost prohibitively expensive". Sipo, the public office watchdog, advised the maximum allowed spend on presidential election was €750,000 in 2011. That figure might be €1m when the regulations are updated for 2018 by Sipo later this month. However, Mr Duffy said that he would "take direction" from the Government if a further reduction was needed, such as if there was an economic downturn. When contacted by the Irish Independent, a spokeswoman for Ms Freeman declined to say if she would be looking to take the full salary. "Joan is solely focused on securing a nomination at the moment. "Issues such as salary will be considered after she secures a nomination," said the spokeswoman. As a senator, appointed in May 2016, Ms Freeman initially donated her salary to the charity she founded in 2005, Pieta House. But that arrangement later ended, as she had left the charity and said she had no other income. The deal ended in 2017 as Ms Freeman left Pieta House on December 31 that year. Meanwhile, a spokesman for President Higgins did not respond when asked if the sitting President will continue to take the reduced pay of €249,041 if re-elected to serve a second term. Both Mr Duffy and Ms Freeman are canvassing local councillors in a bid to shore up support for a nomination in order to challenge Mr Higgins in the October election. A prospective candidate must have the backing of four local authorities to lodge nomination papers. Their first public pitch was made in Waterford, where they were each faced with difficult questions. Questions posed to Mr Duffy focused on his business dealings and his work for politicians through the years. 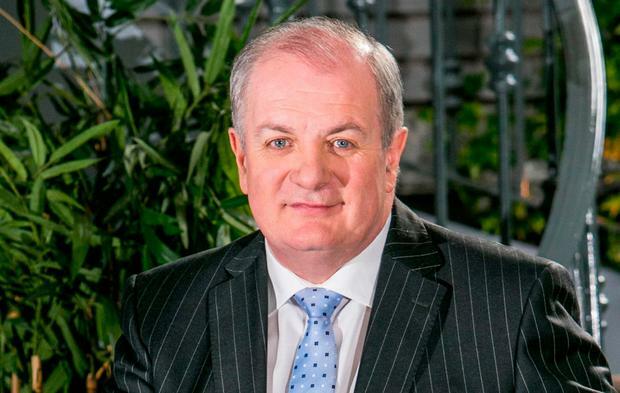 He has provided consultancy services to four Taoisigh, but has not done so since 2011. He has never been a member of a political party and has not donated to any parties. Meanwhile, Ms Freeman was asked about the suggestion that she is a pro-life candidate. Two of her relatives, her sister Theresa Lowe and her niece Maria Steen, were high-profile campaigners on the No side in the recent referendum on the Eighth Amendment. Ms Freeman said that she voted No, but would be happy to carry the voice of the people in signing the legislation into law.